To newly minted biologist James Estes, the sea otters he was studying in the leafy kelp forests off the coast of Alaska appeared to have an unbalanced relationship with their greater environment. Gorging themselves on the sea urchins that grazed among the kelp, these small charismatic mammals seemed to give little back in return. But as Estes dug deeper, he unearthed a far more complex relationship between the otter and its underwater environment, discovering that otters play a critical role in driving positive ecosystem dynamics. While teasing out the connective threads, he began to question our assumptions about ecological relationships. These questions would ultimately inspire a lifelong quest to better understand the surprising complexity of our natural world and the unexpected ways we discover it. 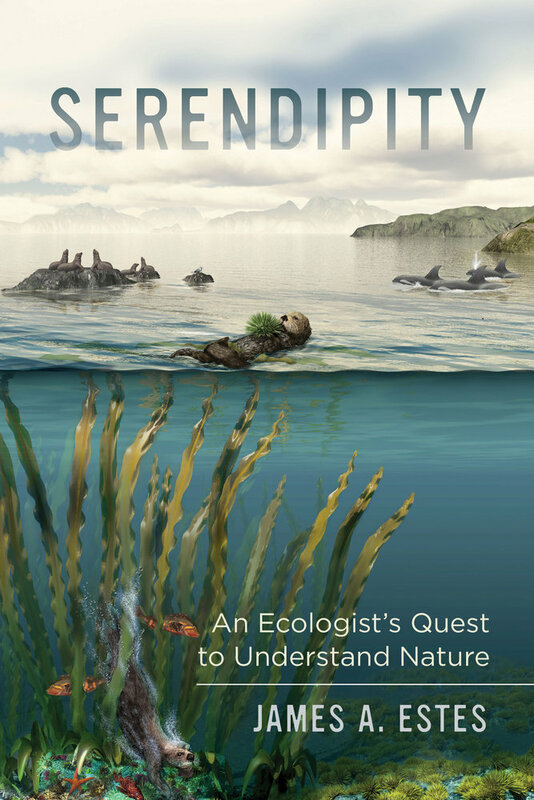 Serendipity tells the story of James Estes’s life as a naturalist and the concepts that have driven his interest in researching the ecological role of top-level predators. Using the relationships between sea otters, kelp, and sea urchins as a touchstone, Estes retraces his investigations of numerous other species, ecosystems, and ecological processes in an attempt to discover why ecologists can learn so many details about the systems in which they work and yet understand so little about the broader processes that influence these systems. Part memoir, part natural history, and deeply inquisitive, Serendipity will entertain and inform readers as it raises thoughtful questions about our relationship with the natural world. James A. Estes is Professor of Ecology and Evolutionary Biology at University of California, Santa Cruz. He was coeditor of Trophic Cascades: Predators, Prey, and the Changing Dynamics of Nature and of The Community Ecology of Sea Otters, and senior editor of Whales, Whaling, and Ocean Ecosystems (UC Press). He is a recently elected member of the National Academy of Sciences.